Performing Ultrasound (US) of the lungs was initially thought to be impossible given air is the enemy of US. This changed in 1995 when Lichtenstein published an approach to imaging pneumothorax with US. 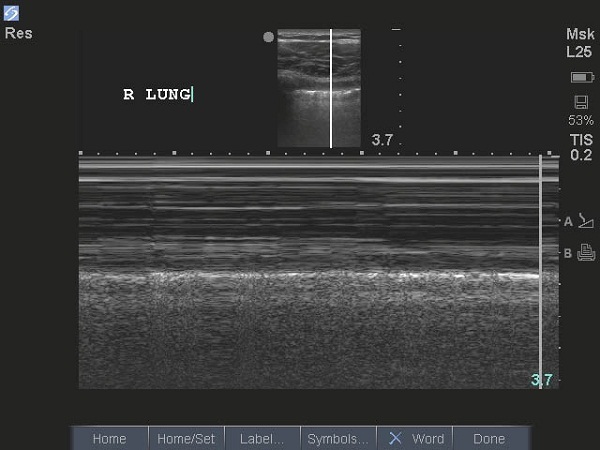 Since then, analyzing artifacts produced by the normal and pathologic lung has become central to diagnostic lung ultrasound. Ma, O.J., Mateer, J.R., Reardon, R.F., & Joing, S.A. (2014). 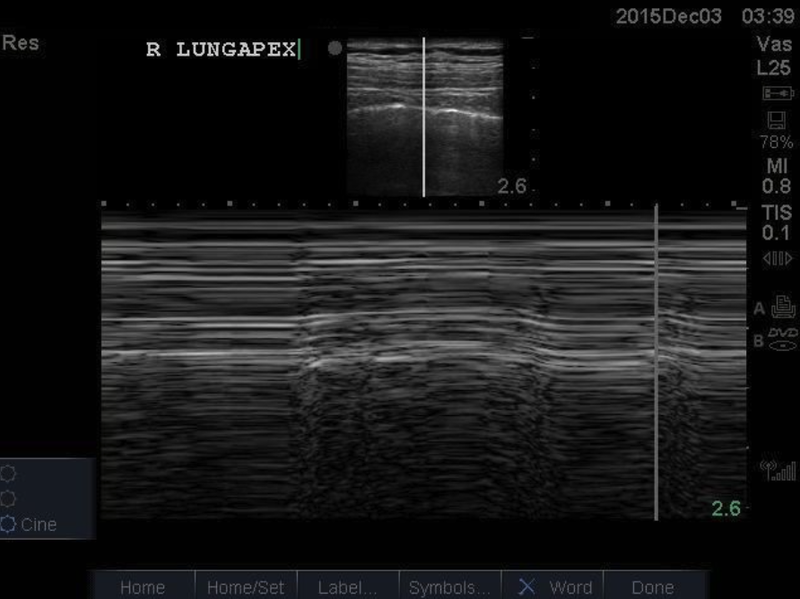 Ma & Mateer’s Emergency Ultrasound. 3rd Edition. New York, NY: McGraw Hill.